Are you thinking of putting your home on the market and you’re worried because the base school for your address has an enrollment cap? School districts can be a very important factor in calculating your home’s value and resale potential. 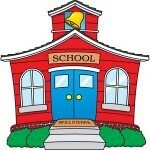 If your home is located in a sought-after school’s attendance area, this increases your home’s market value. Yes, even with an enrollment cap on the local school. Why is this still true? Because not all buyers have children or children of the age that would attend the school, or maybe their children attend a private school, or charter schools or magnet schools are what interest them. And an enrollment cap is a temporary, stop-gap solution to allow the school system to catch up with our area’s growth. But while we know that it is temporary, there is not really a way to predict the length of time an enrollment cap will be in place at any particular school. Fortunately, our schools regularly win national awards and there are fabulous choices all over the county. So don’t let an enrollment cap on your base school stop you from putting your home on the market if you’re ready to move. The old adage of “location, location, location” still rings true and being located in a popular area with a good local school adds value to your home, even with the temporary cap.